Premium smartphone maker OnePlus plans to increase headcount at its R&D centre in India by up to five-folds as it looks to make the facility its largest globally in the next three years. The research and development centre has an employee strength of 100 at present. "We have recently opened up OnePlus R&D centre in Hyderabad. This will become OnePlus largest centre globally in the next three years. Looking forward to India R&D centre, you can expect 300-500 people to be part of the team, OnePlus Founder and CEO Pete Lau told PTI here. India is among one of India's largest markets for OnePlus accounting for around 33 per cent of its global revenue, Lau said. Accordingto Counterpoint Market Research, OnePlus emerged as the best-selling premium smartphone brand of 2018 and also led the premium smartphone segment (priced over Rs 30,000 a unit) for three consecutive quarters capturing 36 per cent of the market in October-December 2018. Lau said that the company will be among the first to launch 5G smartphones globally in the second quarter and look for availability of the next generation networks in India at the earliest. The company would also be part of 5G trials in India in partnership with chipset maker Qualcomm. He said that OnePlus is looking to scale up manufacturing in India as per business requirement and at the same time encouraging component makers and other supply chain vendors of its premium smartphones to set up base in India. As the largest OEM (original equipment maker) in the premium segment, we very much want to and see ourselves as having influence to help bring supply chain for build out of premium flagship devices to make that supply chain more complete. That's good for OnePlus and India and the entire industry. As our supply chain is further developed, we will then be interested in exploring the opportunity for export," Lau said. OnePlus currently uses Oppo Mobiles factory to manufacture its devices in India and claims to be manufacturing all devices locally that are sold in India. When asked about expected growth in India and the company's plan around encashing growth projections with the advent of 5G, Lau said Growth is not something which we don't forecast but it is a result of performance and action. We haven't planned for the set amount of growth in India but we have been a success in India. 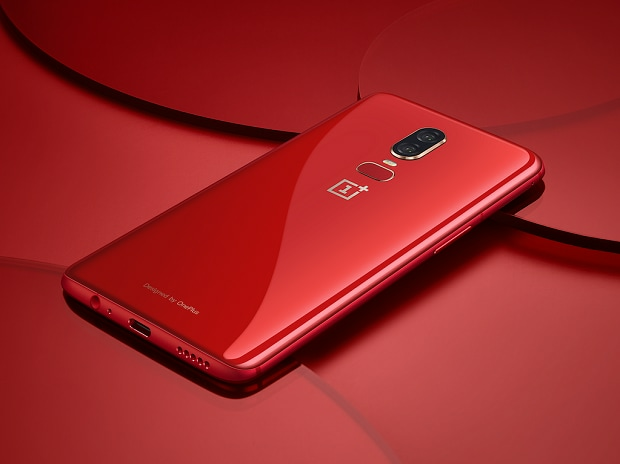 A Counterpoint report said that OnePlus was also the fastest growing premium smartphone brands annually, growing at 85. Per cent year-on-year driving the growth of the entire premium smartphone segment.